As a kid, I always dreamt of growing up and having a house like the Jetsons, with moving stairs and appliances and furniture that worked with just a push of a button. And of course, I’d have a Rosie of my own too. Fast-forward 20 years and that dream is a reality; Alexa is my Rosie, and my house practically runs itself thanks to all the advances in smart home automation. But living this dream, as great as it is, didn’t come easy. It took some time, a lot of money and a ton of patience to learn and master all this automation and now I’m going to share all that knowledge with you. If you dream of a smart home but don’t know where or how to start, my Guide of the Top Smart Home Devices: How To Make Your Home Smarter Than You will help. I’ll give you a rundown of what you need and give you setup suggestions so that you can make your dreams a reality too! I know, it sounds a bit scary and intimidating, but it’s not as complicated or “Big Brother” as you think. IOT allows products to interconnect and be easily identified through digital networks, making your life easier and safer.Before you can decide how to automate your home, you need to understand how it works. Simply put, automation is using a button or voice command to control objects around your home. From turning off the lights while you’re at work to advanced surveillance systems, homes are becoming smarter and smarter thanks to the Internet of Things (IOT). See what myalarmcenter.com has shared in its infographic first. Sure, it’s fun and convenient to have blinds that auto-adjust on command, but it’s the practicality that comes from automation, like being alerted when there is a water leak in your basement, that really makes it worth your while. And you can decide just how “smart” you want your house to be. Add a few products or deck it out from top to bottom, the possibilities are endless. Smart Home Setup: What do You Need? All these gadgets sound great, and they are, but you don’t necessarily need them all. And if they don’t fit your lifestyle and you’re not going to use them, then why buy them? Do you live in an apartment or house? The size of your home will determine whether or not some of these devices are a good buy. For instance, a small apartment is perfect for the smart mop, but it’s not as effective in homes with large kitchens and bathrooms. How large is your family? Some appliances, like the smart fridge, are better suited to larger families. Yes, anyone can use it, but odds are it won’t be fully utilized if you live alone. If you’re rarely home colored lights are pointless, while a smart alarm makes sense. Figure out if you need it before you waste money. For example, if you rarely cook, buying a smart pot isn’t going to turn you into a chef. Buy things to improve what you already do. Otherwise, it’s not a “smart” buy. Research: read up on the device you want and have a good understanding of what it does. This way, you’ll know if a salesman is leading you on or a website description is on point. Knowledge is the key to getting what you pay for. Buy in-store if you are unfamiliar with a product: If you don’t know which alarm system is best or what fridge best suits your needs shop in a reputable, established store to get expert help. Trained employees can show you how the product works and give you a better understanding of whether or not it’s a good fit. Use an expert: if you don’t know the right way to setup or install a gadget, use an expert. It may cost you a little extra, but it will be worth it in the long run. You could ruin the device if you set it up incorrectly, costing you even more money. Test it Out: if you can, buy a device with a return policy, in case it doesn’t work as well as expected or the way you thought it would. Okay, so you’re ready to smarten up your home, now what? Deciding on what brands and products can be daunting. And while you don’t have Rosie, yet, to help you, you have the next best thing: me. I’m going to go through the different smart home devices and explain what they do and how they can help you to make choosing easier. Then we’ll talk setup and buying tips. If there’s only one smart gadget you invest in a hub or controller, like the Amazon Echo featuring Alexa, is the way to go. Designed like a Bluetooth speaker, this hub can control things around your home, place orders for you, give you the news, play music and more- all through voice command. Easy to use, you can check the weather or have her walk you through a recipe while you cook. This device is ingenious, and with a little tinkering on your part, it will even anticipate your needs, suggesting products to order or alerting you when there’s a sale. Oh, and if you get an Echo, contrary to what you heard, you don’t need an Amazon account or subscription service, as it can play music and more from Pandora and other providers. For those who would rather use a remote than their voice, the Logitech Harmony Elite is a good alternative. Think of it as a universal remote for your house, working with Bluetooth, infrared, Z-wave and other devices. Having a thermostat that not only controls the temperature but senses it and regulates it, will save you money and cold feet for years to come. Products like the Ecobee3 do just that, using wireless sensors to detect the temperature in the coldest or warmest room and adjust it accordingly, so the whole house in uniformly heated or cooled. And of course, it can all be controlled through a smooth touchscreen or remotely from outside the house using their app. There are many different brands in this category, but the Ecobee3 is my personal choice because it is user-friendly and compatible with the Echo and Apple’s HomeKit. If there is one thing you WANT to be smart, it’s your home security system, and there is no shortage of option here. Indoor, outdoor, or combination of the 2, you can customize what is being monitored and control it from just about anywhere. Vivint and SimpliSafe are 2 viable options here, with the Vivint under $100 and the SimpliSafe a bit higher. These alarms all have monthly monitoring subscriptions, but you don’t have to use them. Even better though is the personal monitorization, with cameras that you can access from your phone or work computer, to see what’s going on at any time. You can also get alerts on your phone in the event of an emergency. If you have small kids at home or elderly parents, this is a Godsend. If you’re going smart, a door lock, along with a good security system, is a must-have, giving you peace of mind when you’re home and away. The one I like best is the Schlage Connect, a deadbolt lock with ANSI Grade 1 security durability. It has over 30 pins and a built-in alarm that will alert you of any suspicious activity. It also works with the SmartThings hub so you can connect from your smartphone or tablet. Which means you never have to worry if you locked your door or not ever again. It is a bit pricey, but worth every penny. Need a little mood lighting? Feeling “blue”? If so, you’ll want to invest in smart bulbs like the Philips Hue, which allow you to control how bright they are and what color. These bulbs, though pricey, are a sweet indulgence, especially if you entertain a lot; You can go from soft green to bright orange, setting the moods for parties, watching movies and more. The bulbs work with Alexa, Siri and more and there is a Hue White coming out, so you can control the intensity of a white light- at a much lower cost. Baking: If you’ve ever baked, you know how precise the process is and how easy it is to mess up. Well, not anymore with products like the Perfect Bake Pro. It makes baking easier than ever, with a scale for exact measurements and an app that take you step-by-step through the recipe.If you dream of baking your kids the perfect birthday cake or want a healthier, less expensive treat at home, this one for you. Barbecue: The idea of perfectly grilled ribs or chicken is easier than ever with one of the new electric barbecues on the market. Many, like the one from Char-Broil, have an app to let you control the temperature and will alert you when your food hits the ideal temp.Electric is more stable than gas or charcoal, and it costs the same as a traditional barbecue, making this buy a no-brainer. Refrigerator: This is one of my favorite smart gadgets, eliminating the age old question that plagues mom everywhere: do we need milk? With a smart fridge like the Samsung family hub, all you have to do is look- while you’re shopping in the supermarket. It has 3 cameras and will snap pictures and email them to you every time you close the door, so you know what you need and what you don’t. There’s also a touchscreen interface that lets you track family schedules, like soccer practice or upcoming sleepovers, so you can plan ahead and pack lunches or stock up on munchies. A welcome gift for moms everywhere. Vacuum/Mop: Self-propelled vacuums have gotten even better, featuring built-in navigation and slimmer bodies to get every corner. And of course, what good is vacuuming without a smart mop? Yes, products like the Braava Jet will mop your floors for you. Similar to the Roomba, it sprays water for deep cleaning. Pots: Everyone loves a slow-roasted stew, but a lot of times we’re afraid to leave the crockpot going all day while we’re at work. Now you can have the best of both worlds thanks to brands like Belkin. They make a crockpot that you can regulate from a phone app, so you can turn it up or shut it off from anywhere you are. As you can see, there is a lot to consider when automating your home, but hopefully, my Guide of the Top Smart Home Devices: How To Make Your Home Smarter Than You will make it easier. Smart Homes are the wave of the future, improving the quality of our day to day lives. Just use this guide and be “smart” when choosing a device and you’ll feel like your living bigger than George Jefferson, I mean, Jetson. Although we hear of wildly successful crowdfunding campaigns, the truth is that the majority of these campaigns fail. The leading reward-based crowdfunding site, Kickstarter, has a 37 percent success rate and Indiegogo’s is even lower. And those cool hardware projects that seem to just take off and get immediate traction with backers? Don’t be fooled: According to research on completed hardware projects, 70 percent of those that raised over $100,000 on Kickstarter and Indiegogo added venture or angel investments before launching their campaigns. These entrepreneurs' inability to get traction with backers did not necessarily occur because their products were unappealing. More often than not, the key reason a project fails to meet its goal is that the project owner underestimated the amount of time and cost that would be required to properly market that campaign. The need for a marketing budget, then, is not just for reward-based campaigns; it applies to investment-based crowdfunding campaigns, as well. While top equity platforms promote the thousands of registered investors they have on their sites just waiting to discover the Next Big Thing, most of those platforms have criteria and costs for actually marketing a deal to those same investors. But, remember, there's a price tag for getting highlighted in that platform’s weekly email, or being promoted to its social media followers or featured in its webinars. To gain visibility to investors, an entrepreneur must have marketing dollars ready to commit or at the very least a willingness to surrender (sometimes substantial) equity or warrants in his or her venture to the platform owners. 1. Don’t launch without a budget. While much can be done for free, like sharing your campaign via your social media channels, emailing your friends and family or hosting offline meetups or launch parties, the most successful campaigns still incur costs. From shooting a video, to buying Facebook ads, to launching a PR campaign and even hiring a graphic designer, many crowdfunding campaigns invest a minimum of $20,000. With almost 6,000 active projects competing at any one time on Kickstarter, these campaigns need to to invest in ways that help them look polished and get noticed. 2. Ensure that your vendors have experience with the type of campaign being launched. Investing in a campaign manager or marketing expert doesn’t always mean success. Take the case of Simon Thomson of social appSource. Despite extensively researching and interviewing PR and crowdfunding agencies to give his campaign the best possible chance, Thomson spent $20,000 with a well-known crowdfunding PR agency, only to be greatly disappointed in its work. “Quite quickly into the first three months of working with this agency," Thomson said, " we understood that the claims made about greatly increasing our social media presence on various platforms and having strong press relationships were false." Simon said he also discovered that the PR group was uncreative and unresponsive when faced with challenges or requests to help the campaign get back on track. So, the lesson here is, when selecting a PR or marketing firm, be sure that it’s not only creative but able to support the specific type of campaign you are launching (sports, film, tech product, service, etc). Since crowdfunding has become synonymous with pre-ordering a product, make sure that if your campaign is not product focused, any company you work with has experience that aligns with your particular campaign type and industry sector. 3. Understand who does the heavy lifting. Many of the companies using crowdfunding today are actually organizations with their own substantial PR and marketing budgets -- as well as a full back-office support staff of internal PR people, marketing experts and financial backers fueling and helping their campaign. Given this reality, you should clarify with any potential marketing vendor what it actually contributed to any campaigns it cites as examples of its past success. Review the vendor's press contacts and ask to interview previous clients to ensure that the success it's touting resulted from that vendor's own efforts rather than the work, staff and budgets of the companies behind those successful campaigns. 4. Make sure your copy has the appropriate call to action. Although you may successfully drive traffic to your campaign, what's key is to convert those viewers to backers. Simon's app Source had 10,000 visits to its campaign page yet still had issues converting visitors to backers because its copy had not been drafted with the appropriate calls to action to encourage contributions. Although Source's original campaign for $25,000 succeeded, the company had hoped to raise well beyond this sum and ended up launching a second campaign to meet its capital needs -- this time, however, without the marketing budget it had previously lost on a nonperforming vendor. 5. Strive to gain early momentum. One key to a successful crowdfunding campaign is to gain early momentum. Most platforms indicate that project owners should attract the first 30 percent of their support from their own networks before turning to PR. Then, the first three days of any subsequent campaign are crucial. At this juncture, founders should send a project-preview link to their inner circle in advance of their campaign launch and be diligent about keeping in contact, so these supporters will contribute as soon as the campaign goes live. Founders should also rely on PR -- but not to drive backers the day they launch. Instead, the PR should be there to help entrepreneurs cross the chasm between the initial support they've had (from friends, family, and co-workers) and the supporters to whom they have no connection as yet. If you're a founder contemplating crowdfunding, don't be misled by the handful of “hits" that seem to go viral and then easily amass thousands of supporters and funders. While any project can be successful, given the right combination of preparation and execution, any attempt you make to raise significant funds will most likely need a well-planned and funded marketing and PR campaign. And, along the way, don’t forget to check those client references if you're hiring an outside firm. It always excite and intrigues us to see people so passionate about something that they are not only willing to do whatever it takes to accomplish their goals, but they are also getting stuff done at a speed that is just mind-boggling. Believe it or not , the secret in in s simple question they ask more often - WHY? WHY they are doing what they are doing “it” is, what drives them. If you keep asking this question from many startup or entrepreneurs , within few second they shift " what". "how and "when" . WHY is important since it generate PURPOSE or the true story. PURPOSE makes us purposeful and focused with every move you make. Significantly what’s on the line or the answer will drives you to care about the END RESULT more than the steps that will get you there. You can feel and see a distinct difference, if you go back and examine few cases you know or even ask the question from yourself. If the answer is for money , then you have not ask or answered the right WHY . For example, we are passionate to help start up and entrepreneurs build their dream, launch their project , raise fund and hire people. The WHY question took us in to our own internal needs and places that we are uncomfortable to be too. Personally, when I passed 50, I start asking about my retirement. By that time, I already had build four organization which produced enough revenues supporting our staff and management for at least five years in future. However, challenge was the light at the end of the tunnel was not the end of the tunnel, actually was a train coming toward us head on. We know changes ahead of us were cutting to our core businesses and revenue in a very high speed. Software and hardware robots will do the work faster and cheaper with higher accuracy and quantity. The decision was to create an ecosystem and work on a project called "Smart Un retirement" . A new win , win , win ideology and approach for us to never retire but have fun, benefit others, meet smart people and share lots of positive energy. Question was now that we know why , how we can use our 30 years of successful business experiences and launch other businesses for young entrepreneurs , X and baby boomer generations. We knew from past , they usually think…. How do I start a new business? And then they spend time, money and work on the the questions such as , What do I do now or next? and / or who can help me. But while those questions are good question or to action items, they often are afraid of asking the main question or Why or our dilemma. You may not know Why at the start , but if you try , try again and build your idea and business on the cloud ( internet - Less expensive and more effective ) , then you might find the " why" in your initial business development Journey. We also can help you in this journey. We all know a great Idea doesn't make a great product, service or company. It's time to rethink and start co-thinking and co-execution. That what we want to share with you, since when you win , we win and you hire more people, then they win too. Why? .... Since you do not have any other choice and we all get old and need to know. Now , we have the chance to try it at least once. I am a businessmen entrepreneur with more than 25 years of hands- on experience. I have an extensive background in Marketing, Google business applications, technology and hold a Master's of science degree in electrical engineer with a minor in business. 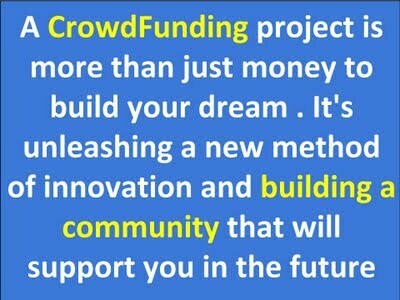 I am a CrowdFunding enthusiast and business developer with proven successful CrowdFunding (a 93 billion dollar industry) projects and founder of CrowdFundingPlanning.com and CrowdFundingMentors.com. I am offering practical training, lessons and tutoring to eager young minds (e.g., students, inventors, business owners, entrepreneurs) on the business development and Crowd Funding topics. When Ben Miller decided to use crowdfunding as a means to rehabilitate a beaten-down building in one of Washington, D.C.'s transitional neighborhoods, he didn't really know crowdfunding was a thing, That's because it wasn't, at least not in real estate, yet. But Miller and his brother Dan were raised in both a real estate family and in the social generation. Their goal—to give everyone the opportunity to invest in commercial real estate—was just intuitive to them. Previously, commercial real estate was a playground for large-scale investors only. "We didn't know it would become a movement, and that the movement would be our business," said Ben Miller, standing in the finished project—an open, modern/industrial-style space called Maketto. "We raised $350,000 from 175 people at $100 a share, and now the industry will do a billion dollars a year, and we're doing a project a week and raising probably half a million dollars a day." Fundrise is an online crowdfunding platform offering individual investors a chance to buy shares in a commercial real estate project. The returns come from both rental stream and the appreciation of the property itself. That was what was so enticing about the first project on H Street, a transitional neighborhood just east of D.C's Union Station. Not only was the neighborhood on the verge of big growth, but it also begged for an anchor destination to get the ball rolling. When you first walk into Maketto, it's not immediately clear what the place is—and that is literally by design. It is a bar, a designer coffee house, a bakery, a retail clothing and sneaker shop, and a restaurant with a James Beard-nominated chef. Independent vendors all feed off each other, literally, under one roof. By sharing the space, the rent is cheaper, and therefore the profit greater. "The whole idea was to do something different, to do something that the neighborhood wanted, so the space is both a restaurant and high fashion, it has a cafe," Miller said. "It's called Maketto meant to be a communal market, and the people invested in this project not only own a piece of the real estate but also a piece of the restaurants." Miller may call it a market, but really it is a floor plan for the future: A social network of retail and restaurant on three levels, with communal seating everywhere (even in the chef's kitchen), and open-air spaces on the roof. It is what the millennials moving into this now-trendy new neighborhood expect. "The point is to get people in there from the minute you wake up in the morning for your coffee through your nighttime cocktail and to meet people while you're there. 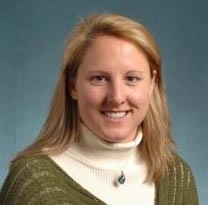 It invites you to chat," said Gina Schaefer, one of the "crowd" investors in the project. Schaefer and her husband own 10 hardware stores in the District and in Baltimore, but they lease all their properties. Owning real estate was way beyond their means until Fundrise approached them with the crowdfunding platform. They bought into it, investing $10,000 in the project. Last year, they received their first dividend check. "I think for us it was just being part of the sharing community and the movement, and even if it was just a piece, to say that we owned something," Schaefer said. "We never in a million years would be able to afford to own a property in Washington, along H Street, where everything is starting to grow." On a sunny Friday, midmorning, Maketto was already humming. Toward the back of the main floor, just past the well-stocked bar which, for now, is spread with an array of breakfast pastries, one patron sits alone, wired up to a conference call. She is sipping something from Vigilante Coffee, a vendor that has set up shop on the second floor. At a longer, communal table upstairs, two suited patrons appear to be in the midst of an interview. Just past them, across the first roof garden where a young man sits reading on his laptop, you can see workers in the glass-enclosed kitchen preparing for the lunch crowd. On the outdoor third-roof level, a group of young women is hashing out a business plan over laptops, something that involves dancing. All this as an older couple walks into the front of the main floor, tempted by pastries on the bar, but stopping to browse the $100 shoelaces. For Christopher Vigilante (that's his mother's maiden name actually), it was the opportunity to share in something bigger than his tiny coffee company. "For business, it helps create a lifestyle brand. Folks that typically want to drink a high-end coffee can understand what really fine cuisine can be like, can also appreciate fine clothing, a shirt that might cost you a few extra dollars but will last you 10 years—these folks all kind of run in similar circles," said Vigilante, standing behind three glass spheres of bubbling brews, heated by Bunsen burners. "I think when you have the synergy of all these businesses, you get that lifestyle brand." A brand that is solidly Millennial—shared—right down to the funding. "A hundred companies have followed us into this space," said Miller, who has grown his crowdfunding company Fundrise from three to 30 employees. Fundrise recently raised $35 million for its technology platform, and Miller said he is hiring an employee a week. Fundrise began raising money for the H Street property in 2012. Back then, Miller talked about how they had to work through an arduous process with the Securities and Exchange Commission in order to make this first-of-its-kind online equity offering for a real estate property happen. Maketto is very nearly a visual manifestation of the philosophy behind its fundraising; put simply, a social structure grown out of social financing. "You can tell when you interact with customers, who maybe put in that first hundred dollars to get this project off the ground, that they feel connected to the space in a different way than say any other coffee bar," Vigilante said. As such, it is already transforming the neighborhood around it. "We've created an anchor down this side of H Street, so it's drawing more people here," said Miller of the neighborhood, which, along with several new restaurants and fitness studios, will soon be home to a Whole Foods and more than 1,000 new apartment units. "It's probably the coolest project tin the whole city, and that's making it a destination. The real estate growth from this neighborhood has been sensational." For past five years, we have practice Rewards CrowdFunding Marketing, promotion , crowd building support and services in order to learn DNA of CrowdFunding and get ready to "Equity CrowdFunding" . 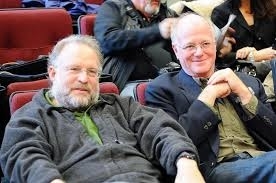 In our Journey we learned about Ben & Jerry local CrowdFunding or so called "direct public offering " or DPO. Thousands of companies have successfully used DPOs to raise capital from the crowd. Ben & Jerry’s, Annie’s Homegrown, and Real Goods are just a few household names that have used DPOs in the past. Similar to the very popular crowdfunding model, DPOs allow businesses to raise capital directly from small investors, facilitated by the advent of "Investment Crowd Funding." A DPO is similar to an initial public offering (IPO) in that stock is sold to investors, but unlike an IPO, a company uses a DPO to raise capital directly and without a firm underwriting from an investment banking firm or broker-dealer. A DPO will generally have a sponsoring FINRA broker, but in the case of a DPO, the FINRA broker does not guarantee full subscription of the offering. In this instance, the broker merely assures compliance with all applicable Securities and Exchange Commission (SEC) rules that the offering must comply with. Following registration with the SEC and subject to compliance with state blue sky laws, a company can sell its shares directly to anyone, even non-accredited investors, including customers, employees, suppliers, distributors, family, friends and others. 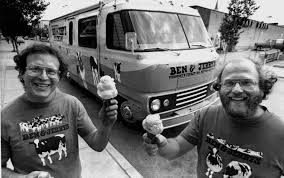 Ben & Jerry’s were pioneers of DPO and were able to grow their company . They did not rely on finding angel or venture capital investors; they underwrote themselves and self-administer public securities offerings to both accredited and non-accredited investors. They were allowed to market and advertise the offering through any venue they choose. Click on the image for the full series. Original photo by Bruce Evans on Flickr. Crowdfunding has come a long way since 2008, when a group of UC Berkeley MBA students launched Indiegogo. It’s now a multibillion-dollar industry growing literally exponentially and worldwide. My research suggests crowdfunding will grow more than 100 percent in 2013, and according to various industry sources, it grew 60-80 percent in 2012. And while the roots of crowdfunding remain here in the United States, the movement holds much promise and has massive implications for the global economy. 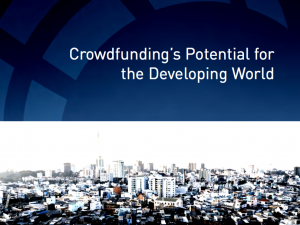 Recently, the World Bank commissioned a study on how crowdfunding could be applied internationally and what its potential could be for affecting entrepreneurship in second and third world countries. It did so by asking Crowdfund Capital Advisors to study the issue, a firm made up of the very people who brought crowdfunding to the fore in the U.S.: Jason Best, Sherwood Neiss and Zak Dorian-Cassidy. The three entrepreneurs spent almost two years rallying support for a crowdfunding exemption from SEC registrations and stood in the Rose Garden in 2012 when President Obama signed the JOBS act into law allowing crowdfund investing in the United States. Click the image to see the full report. The study, which I helped develop, was released in October. And what we found was both expected and surprising: Crowdfunding is going to be a disruptive global influence, but in some cases, not quite in the way you might think. The question the World Bank asked our research team to address was a market size estimate — in other words, how big of a phenomena is crowdfunding and crowdfund investing? Our team brought in economists with experience in the developing world and created a model utilizing purchasing power parity analysis. Essentially we estimated the income levels needed internationally to allow individuals to invest. We then made very conservative estimates (less than 1 percent of portfolio allocation) and looked at the size of the potential crowdfunding investment market. The model predicts a $93 billion equivalent crowdfund investing market by 2025. Our model assumes that no institutional investors allocate money through crowdfunding portals — despite examples of this occurring in the U.S. and the U.K. If we were to assume institutional investors get in the market, then crowdfund investing becomes a several hundred billion disruption to early stage capital markets by 2025. In the space of only five years, crowdfunding has grown from a handful of sites to nearly 1,000 platforms operating on every continent except Antarctica. Entrepreneurs are using crowdfunding to raise either debt or equity financing for their businesses in 27 countries, and that list is rapidly growing. The World Bank report built an empirical model to predict in which countries crowdfunding was likely to emerge. We studied a number of economic, regulatory, cultural and normative variables and found that crowdfunding in the second and third world was related to flows of foreign direct investment and diaspora investing. This suggests that crowdfunding is operating as a vehicle for entrepreneurs to solicit either donations or investments from the extended network of expats, emigrees and organizations seeking to bolster economic development in their home country. One of the most successful examples is OurCrowd, which solicits investments in the U.S. for Israeli technology startups.Homestrings solicits donations from individuals who moved from Africa but want to target donations back into Africa. Crowdfunding relies on the power or social networks, and since women are more active on most forms of social media than men, it is unsurprising that data shows that women are at least as successful as men in using crowdfunding. While women appear to set lower goals than men, according to Alicia Robb, senior research fellow at the Kauffman Foundation, they are very effective at raising funds through crowdfunding. It is well documented that professional investors show strong homophily — meaning they invest in businesses led by people who share gender, race, religious and educational characteristics with them. This means that women in the United States receive less than 5 percent of venture capital investing dollars, despite founding more than 50 percent of new ventures. This pattern exists throughout the world, and crowdfunding may represent a significant disruptive influence that can enable women founders to fund their businesses without relying on institutional investors. Islamic finance imposes strict regulation on the types of contracts that can be used, and this can act as a damper on startup financing. However, scholars have stated that crowdfund investing is compliant with the principles of Islamic finance — which are based on fairness, equitable treatment of all parties, and avoidance of undue obligations. The World Bank report shows that the Muslim world may be one of the first markets in which crowdfund investing may be truly game changing — it is the first new form of Islamic finance to emerge in centuries. The youth of the Middle East are just as technology savvy as those in the U.S., but the combination of rampant youth unemployment and limited access to capital for companies is curtailing new company formation and in part leading to the instability in the region. Crowdfunding may represent a new vehicle for allowing these smart young men and women in the Middle East to finance their technology firms and create both economic and political stability in this time of crisis and economic despair in the region. From rural Africa, where crowdfunding is done from mobile device to mobile device, leapfrogging over the lack of wired Internet access, to the offices of NGOs who see crowdfunding as the next step in microenterprise lending (made famous by Grameen bank), to accelerators and universities in South America, Europe and the Middle East, crowdfunding is a new tool allowing the funding of projects and startups. How big it will become is an open question, but for the first time companies can use the power of social networks and social media to directly fund their passions. Richard Swart is a PhD in Information Systems, an international award-winning academic and a recognized thought leader in the crowdfunding industry. Richard is a founding member of the Crowdfunding Professional Association (CfPA), the Crowdfunding Intermediary Regulatory Advocates (CIFRA), and an early leader in the field. Richard co-organized the first major national conference on crowdfunding and coordinated several educational events on the JOBS Act throughout the United States. He is the Director of Research and Analysis for Crowdfund Capital Advisors (CCA) and works closely with the University of California, Berkeley in the Innovation in Entrepreneurial and Social Finance Program which is dedicated to academic research on crowdfunding. Following is a list of top press release outlets that you can use to release your news . PR refers to page ranking , the higher the better authority. You can contact us if you need Press Release contents and optimization. We can also assist you with Google authorship registration. We want to promote your crowdfunding project and campaign to thousands of news outlets including the biggest online and offline newspapers, TV and radio stations and most established blogs who cover your specific and relevant topic category. When Oliver Housknecht gave $25 to virtual reality headset maker Oculus VR through crowdfunding website Kickstarter two years ago, he wanted to help a startup grow into a larger, independent company. Instead, Oculus became part of one. Housknecht was shocked about two weeks ago when Oculus announced it was selling itself to social media company Facebook for $2 billion. He was one of many backers who helped it raise more than $2.4 million through Kickstarter in 2012. He wants his money back. CrowdFunding is more than just raising money and providing a product. Its about creating a following for an upcoming brand or service. 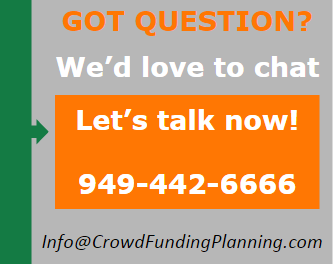 It is important for people to realize that an individual CrowdFunding Campaign is a one time deal. 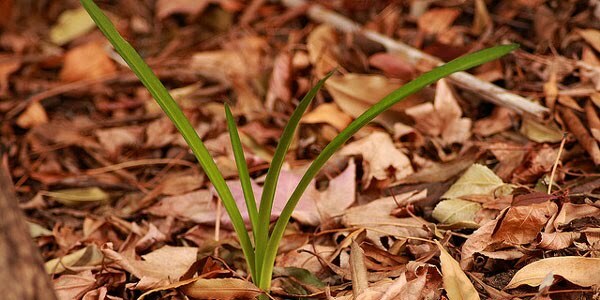 Although some one can relaunch a campaign each campaign has a start and an end. The real goal is to become known as a trustworthy brand that can resell or create more products to a purchasing audience. Although in this case Oculus sold to Facebook, the backers still received their perks. This goes to show that a small start-up company can become a large entity almost over night. CrowdFunding is the dream of being able to create a large footprint and become well known. For the backers is the feeling of helping the underdog become a success. For Oculus this is a dream that came true. Our Economy and recession have created the sharing economy trend. We clearly see entrepreneurs faced with an unsustainable economy, we have been trying to establish new channels to generate and exchange ideas and values. Investing in people with good idea is a very bad idea since Interesting ideas are in abundance, but the people needed to back them up are on short supply and people that can make them to come to life are in seriously short supply. Portal such as Pave and Upstart each have their unique approach but they need to address the issue in its inspection. These are the top three (3) comments and questions, we receive. Last three years, we have worked to respond to the above and come up with solutions for each of them and many others in order to be part of the solution. Thus we have found many ways to invest in people and have had many success. We believe 99% of the failures come from people who have the habit of making excuses. www.CrowdFundingSoftLaunch.com (pre launch sand box - beta version - see a sample http://goo.gl/M8BdY). Your portals Pre crowdfunding candidates.